Benamôr has been making original beauty recipes in Lisbon since 1925 based on natural ingredients. The delicately scented Jacarandá is named after Lisboa’s iconic tree that covers the city with its electric lilac bloom for only a few precious days each spring. Directions - Apply this ultra fluid cream on body skin, spread it gently and massage, until it is totally absorbed. 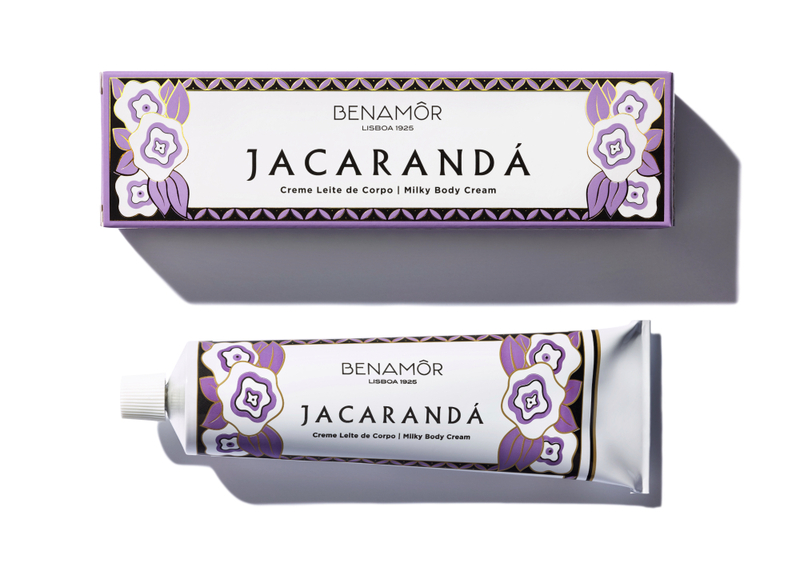 Enriched with aloe vera, this BENAMÔR Jacarandá Milky Body Cream sinks in like no other, soothing and refreshing your skin with a scent to die for! This delicious and ultra fluid Body Cream recipe is a blend of Aloe Vera combined with other powerful natural emollient ingredients such as bee wax, hydrating and nourishing skin, making it softer and smoother. – Suitable for normal skin. – Benamôr’s products are paraben and petroleum-based raw materials free. Dermatologically tested formula.